One of the few unfortunate men who still watches Test Cricket on TV. During the glorious spring of 1982 Bangladesh Television (BTV) introduced a weekly show called Cricket on TV in recognition of the growing popularity of the game in the country. India won the Test against Australia at the SCG played between 7-12 January 1978 by an innings and two runs. Nari contractor: A courageous left handed batsman, it is ironic that his career ended after being hit in the head by Charlie Griffith during the 1962 tour to the Windies. His injury paved way for young Pataudi (Jr.) to become the Indian captain. Given India’s fairly unimpressive Test record in Australia, it seems quite remarkable that they went in to the Boxing Day test at MCG in 1985 hoping to complete a hat-trick of successes at the venue. An analysis of Bangladesh’s recent Test performances would reveal a fairly routine trend. It’s a great pity Collis King played only nine Tests and 18 ODIs for the West Indies. As Brian Close, accompanied by his younger partner, John Edrich went out to open England’s second innings at Old Trafford against the West Indies in 1976, the result of the match was already decided. The recently concluded Asia Cup in UAE had a dramatic finish, as India clinched a last ball victory in the final against Bangladesh. Kevin Malcolm Curran was born in Rusape, Rhodesia in September, 1959. Tall and well built; he showed promise as a cricketer from his school days and, in time, he developed into a fine all rounder playing regularly for Zimbabwe – the strongest associate member during the 1980’s. 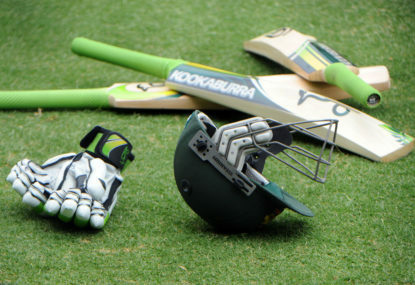 The recently concluded three-match ODI series in the Caribbean islands saw the Tigers beat the hosts 2-1. 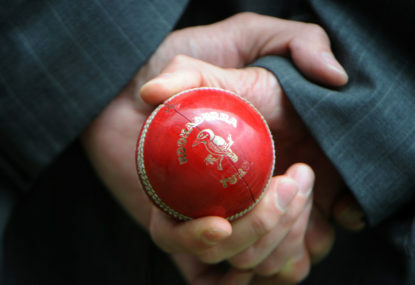 The World Cup cricket first moved outside England during the autumn of 1987, as India and Pakistan jointly hosted the fourth World Cup. Also, the format changed with 60-over games replaced by 50-over affairs. The 1970s and the 1980s were the ‘radio days’ for the cricket lovers of the subcontinent. When I was eight or nine and had just started my love affair with the game of cricket, my dad asked me, “What’s the duration of a Test match?”. The much-anticipated Bengaluru Test to mark Afghanistan’s entry into the Test arena ended with the expected victory for the Indians. 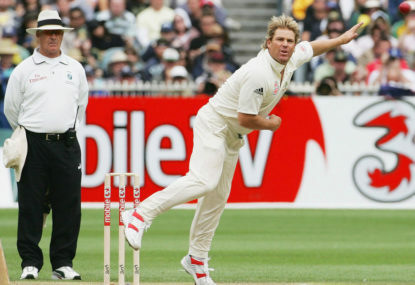 Being a natural southpaw, I always had a keen interest in left-arm orthodox spin bowling. For centuries Afghan invaders from the northwest were a constant threat to the established kingdoms of northern India. 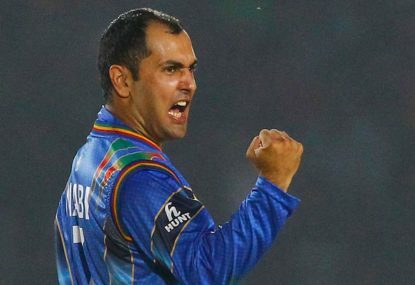 The three-match T20 series between the two emerging powers of world cricket, Bangladesh and Afghanistan, will start on 3 June at the north Indian city of Dehradun. This series is likely to produce keenly contested matches, with both the teams trying to improve their ICC T20 rankings. 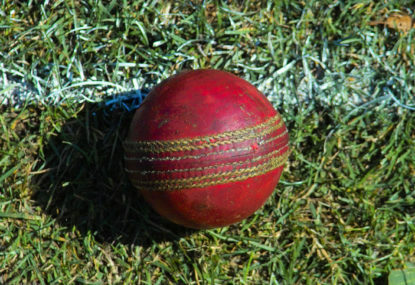 What makes a cricketer unlucky? Well, there are a number of criteria; in case of a fast bowler injury is always a concern. After selecting ten top performers from the top ten teams in the first part; here, I will select ten players from the bottom halved teams. Again there were a few obvious choices combined with some tough ones. One of the finest piece of spin bowling in the early years came from Syed Ashraful Haque, the Bangladesh offie. in Bangladesh’s 1st ever ICC trophy (qualifying round for WC for the associate members) match, in May 1979 against Fiji he took 7/23 to bowl the opposition out for 81 to ensure a 22 run win for the Tigers. Of course, this wasn’t an offical ODI, the wicket at the Water Orton cricket club, Birmingham, was under prepared and the opposition very weak. But still it has become a part of our cricketing folklore; and it remained the best bowling figures in ICC trophy till Ole Mortensen took 7/19 against Israel at Kenya 1994. Your point is correct. But at the same time there wasn’t any out of the box thinking evident. i checked and found that Bob Holland played just two ODIs and only one in Australia. Higgs, Sleep and Hohns didn’t play any. The reason i mentioned this leggie thing is because the Pak leggies enjoyed a lot of success against WI in Australia. Wasim Raja with 4 wickets won them a low scoring match in 1981-82. Even more exciting was when Raja and Qadir played together against WI in 1983-84. WI won by 1 wickets but the two leggies equally shared 6 wickets among themselves. i remember acting Pak captain Javed brought Raja 1st change; very early in the WI innings; a move which surprised everyone. Richie Benaud was full of compliments for Javed’s captaincy and also lamented about the fact that the Aussies didn’t pick any leggies for the limited over games. A mention should be made of the 1985 World Championship of cricket in Australia; a kind of mini WC. India won the event in style with Krish Srikkanth showing the first glimpses of truly aggressive opening. 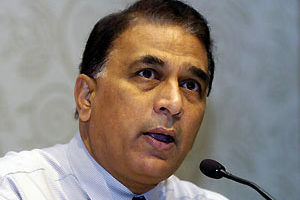 also, the two Indian spinners ShivaRamaKrishnan and Ravi Shastri enjoyed a lot of success in the event. Shiva, the leggie was a great talent; but failed to fulfill his early promise. Ja, i agree with your views. Australia played an interesting role in the development of ODI game. They did much to fix the rules and norms of the game; but generally their team struggled to perform well. 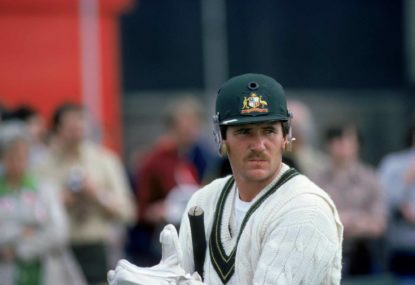 it was only after lots of experiments (including trying bowl underarm) that they eventually found a proper winning combination under the captaincy of Allan Border. The slower delivery used by the Aussie medium pacers in the mid 1980’s (specially in the 1987 WC) was a novelty that surprised many oppositions. thanks for your thoughtful comments. i think you have touched couple of valid points. Nice article. Interestingly, i was planing to write an article on Yardley; just couldn’t manage the time to do it. anyway enjoyed reading that . Just going off topic, Yardley played with Jim Higgs, the Victorian leggie; a few times. I heard some experts reckon that Higgs was the best aussie leggie in between Richie and Shane. Now, i haven’t found anything extraordinary in Higgs’ records. in contrast, Bob Holland had two 10 wicket hauls in a short career. 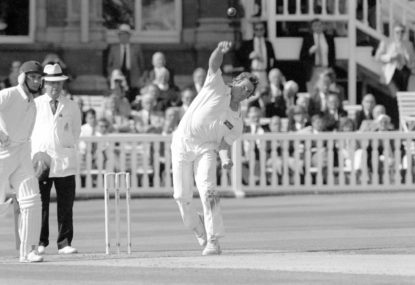 ‘Dutchy’ also took five wickets at Lord’s in 1985.
i would welcome comments from guys who had actually seen Higgs in action. A sad end to a disappointing tour. I remember the NZ victory at Mumbai in `1988 very well. For the first 3 days things were very tight. It was the 9th wicket stand between Smith and Bracewell on the 4th morning that gave the Kiwis the decisive advantage. I was a freshman at the Dhaka university at the time. I returned home from class to find that the Kiwis have posted a challenging target. I was happy because I was supporting them. Hadlee and Bracewell then destroyed the Indian batting in the 4th innings. IMO John Bracewell was a fine all round cricketer. I am a big fan of Sachin, but i think we should always be careful while comparing between the greats. 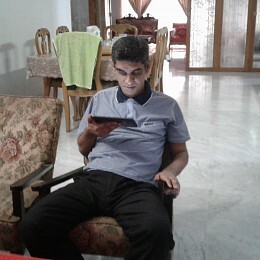 Sachin came into the scene in the late 1980’s at a time India (and South Asia as a whole) was passing through a transition. There was welcome economic stability with more and more people entering the mid-income zone. but the biggest change was in the media sector with the satellite channels entering our houses. the fast growing media needed a hero; a superhero if possible; and no one filled the role better than Sachin. 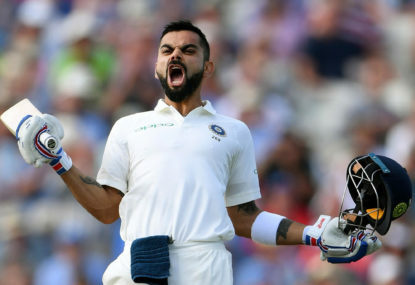 while no one can doubt his greatness; i find some of the things like describing him as the greatest cricketer ever or even comparing him with God quite ridiculous. 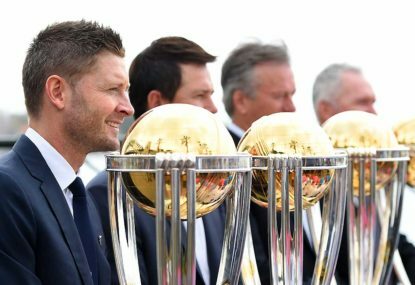 if you tell me to list the three greatest cricketers over the two decades after Viv; i would go for Kallis, Sangakara and Sachin in that order. An interesting fact about Hadlee is that he went wicket-less at Headingley in 1983 as NZ recorded their first ever test win in English soil. Cairns took 10 (7+3) Chattfield 6 (1+5) and Coney 4 (2+2). of course Hadlee contributed with the bat scoring 75 & 6* as the Kiwis won by 5 wickets. Nice article. But i am slightly confused about the series draw in India. if i remember correctly; India won the 1988-89 series 2-1. As I mentioned in the article Simmons was lot happier in ODIs than in test matches. RIP Syed Altaf Hoossain. He was a right arm fast bowler playing for East Pakistan in the 1960’s. He was picked in the Pakistan 14 for the 1st test against NZ in 1965; but didn’t make the starting XI. After the independence of Bangladesh in 1971; he played a major part in the building of the cricket structure acting as a very successful cricket coach. At one time he was the coach of the Bangladesh national team. He was also a qualified umpire with experience in officiating in 1st class matches. Carl Hooper went on to have a career bit like Logie; both averaging in the mid 30’s in the test arena. No doubt Hooper was more talented and was a delight to watch when in full flow; but he never achieved the consistency he was capable of. In some ways he represented the WI cricket during his time. he came into the WI team in 1987 just they had started a slow decline. The talent was still there among many young cricketers; but somehow the desire to perform and win regularly was missing at times. Interestingly Courteny Walsh played as a fourth seamer in the side for a long period. it was only after the retirement of Marshall and the departure of Patterson that he started to get the new ball and then formed the wonderful partnership with Ambrose. Just to give an idea about the strength of the WI team around the mid 1980’s, I have made a possible WI team at the time without including the players who played in the 1984 whitewash. Lawrence Rowe, Fauod Bacchus, Richie Richardson, Kallicharan, Logie, Stephenson, David Murray (WK), Collin Croft, Sylvester Clarke, Wayne Daniels & Courtney Walsh. this is not a balanced team, with no spinner in it; but i don’t think a spinner was required. Interestingly, Andy Roberts who had played his last match for the Windies in 1983-84 season was playing county cricket for Leicester in 1984 and was doing pretty well. 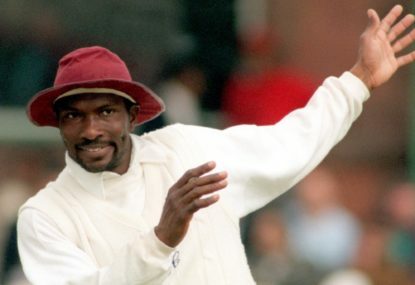 Franklyn Stephenson: the greatest West Indies player never to play for West Indies. Going slightly off topic; apart from the exciting cricket that the Windies played at the time the name of some their players seemed very interesting to me. Imtiaz Ali sounded like our next door neighbors; Kallicahran seemed to be from kolkata. Later I read about Sony Ramdin and Asgar Ali in Worrell’s book. Of course now I know about the WI history in details and know about the Indian people migrating there during the colonial days. In 19 tests he scored 782 runs; 250 of those came in one innings. He was unlucky in a sense; he was an opening bat but had to bat in the middle order because of Greenidge & Haynes. Wayne Daniels worked extremely hard to get himself back in the WI team in 1983. But it was always likely that with so many young fast bowlers emerging; he would soon lose his place and that’s precisely what happened. 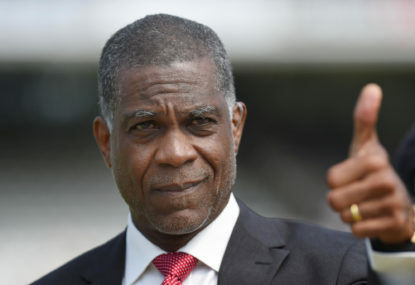 Colin Croft, Lawrence Rowe and Sylvester Clarke all had the potentials to become great cricketers unless their internationals careers were not halted for various reasons. Here I have tried to focus on players who had a pretty decent run with the Windies team in the 1980s. Collis King is among my all time favorite cricketers. I have seen the video of his WC 1979 innings many times in YouTube. 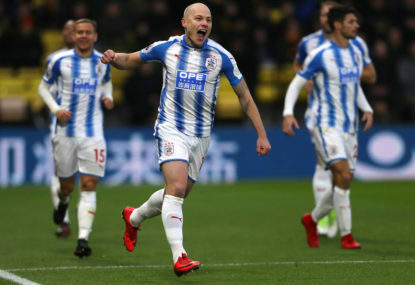 The power of this man was amazing. I have never seen anyone dominate a partnership with Viv in this manner. The problem was that they couldn’t fit a role for him even in the ODI team. Specially after Richards and Gomes started sharing the 5th bowler job. Gomes’s record against Australia is most impressive; 6 of his 9 hundreds came against the Aussies.